On the anniversary of demonetisation, Prime Minister Narendra Modi thanked the people for steadfastly supporting the several measures taken by the Government to eradicate corruption and black money. In a series of tweets, Modi said 125 crore Indians fought a decisive battle and won. Former Defence Minister Manohar Parrikar today said demonetisation has struck a blow to anti-India forces and empowered the poorest of poor through an increase in financial inclusion and formalisation of the economy. A year after the Centre's decision to ban Rs 500 and Rs 1,000 currency notes, the chief minister of Goa commented on the move on Twitter. "Through increase in financial inclusion & formalisation of our economy, #Demonetisation empowered the poorest of poor," Parrikar said in a tweet. "Terrorism & naxalism thrives on unaccounted cash & black money. #Demonetisation has struck a blow to anti-India forces," he said in another tweet. In another tweet, the senior BJP leader said, "#Demonetisation was a reformist measure to weed out black money, strengthen our economy, & establish good governance." Exactly a year ago, Prime Minister Narendra Modi had announced demonetisation of Rs 1,000 and Rs 500 notes as a measure to fight black money, corruption, fake currency and terror funding. According to bank-wise statistics provided by RBI, while 56,17,58,639 ATM transactions were made in November 2016, the figures stood at 63,04,70,907 in December 2016, up by 12%, a month after the demonetisation drive. With the demonetisation drive completing a year today, political parties are leaving no stone unturned in painting blemishes on each other. While the government is claiming it to be a huge success, the opposition termed the drive as “loot”. RBI, on the other hand, has provided data to show that while the government aimed at going cashless with the note ban, ATM transactions has gone up by 27% since demonetisation. Rahul said the Congress stood with all those people who have suffered due to demonetisation, which was announced on November 8, 2016. Launching a scathing attack on the Modi government on the note ban anniversary, senior Congress leader P Chidambaram said millions of people "suffered" and no one can deny that lives and jobs were lost due to demonetisation. A year after the demonetisation decision, the former Union finance minister said on this "black day, people should read real-life stories and say a prayer for the "millions who suffered". "Can anyone deny lives were lost, small businesses closed and jobs were lost?" he said in a series of tweets. 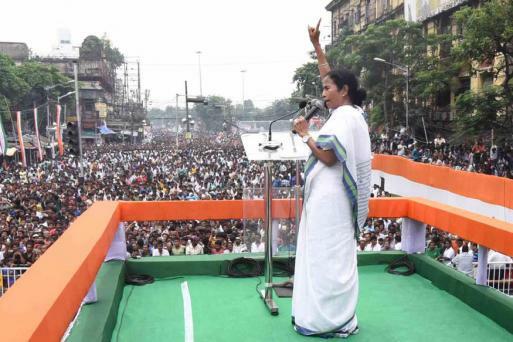 West Bengal Chief Minister Mamata Banerjee described demonetisation as "DeMoDisaster" and turned her Twitter display picture black, on the first anniversary of the event today. She had announced her decision to change the display picture on her Twitter account to 'black' on the first anniversary of demonetisation. "I have turned my Twitter DP black #DeMoDisaster. Let us raise our voices #Nov8BlackDay," the Trinamool Congress supremo wrote on her Twitter handle after turning her DP black this morning. 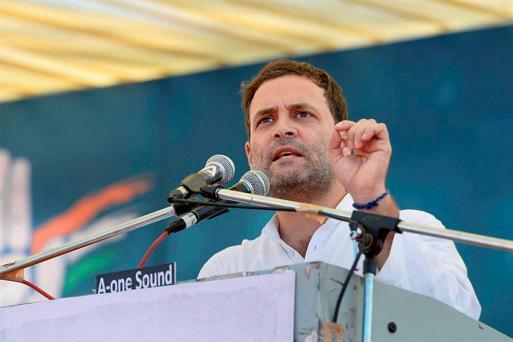 Congress vice president Rahul Gandhi will today participate in a candle-light vigil as part of the Opposition parties' "Black Day" protest in Surat, the textile and diamond capital of the country. Gandhi is expected to reach Surat this morning, after which he will have informal meetings with the industry representatives and workers during the day, sources in the Congress said. "He will participate in a candle light vigil on the 'Black Day' near Vivekanand statue in Chowk Bazar area of Surat city after a formal meeting with traders," they said. Congress spokesperson Manish Doshi confirmed the proposed visit and the programme of the party vice president. ​Nand Lal, the ex-army 'naik', earns a monthly pension of Rs 8,000. The widower stays alone in a dingy 10x10 feet room and has a help who looks after him. On Demonetisation anniversary, Prime Minister Narendra Modi thank the people of this country for supporting the several measures taken by the Government to eradicate corruption and black money. ​​Demonetisation has choked the flow of funds to terrorists in Jammu and Kashmir besides adversely impacting the left wing extremism in several parts of the country, Defence Minister Nirmala Sitharaman said. She also said that the number of incidents of stone pelting in Kashmir has come down since summer and suggested that it was the result of fund crunch being faced by terror outfits due to the note ban. "The data shows the flow of funds to the terrorists has clearly been choked after demonetisation," Sitharaman told reporters on the sidelines of a book release event. She said the terrorists are "really running short of funds. There have been a lot of attempted bank robberies and it clearly shows that demonetisation or withdrawal of Rs 500 and Rs 1,000 currency notes has affected the flow of funds for terrorism." Puducherry Chief Minister V Narayanasamy said that the demonetisation exercise by the BJP led NDA government and GST have had an injurious impact on the economy and hit the common man hard. 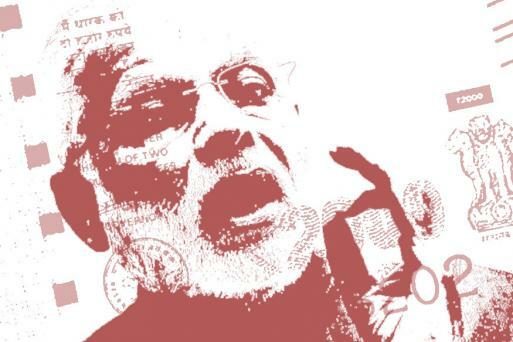 "Demonetisation and GST have proved their injurious impact on the country`s economy and the common man has been hit hard by the two measures of the NDA", he said. He alleged that the BJP has started suffering a big decline and faces the wrath of people across the country. Narayanasamy, a member of the GST council, was addressing workers and leaders of the ruling Congress and also its alliance partners at the end of a procession organised by PCC to condemn demonetisation and GST. Finance Minister Arun Jaitley rejected former Prime Minister Manmohan Singh's charge that demonetisation was "organised loot" and said there was an ethical and moral rationale behind the decision which gave a "new direction" to the economy. Defending the government's decision to demonetise high-value currency notes last year as "historic" Jaitley also said that demonetisation cannot be a one-stop solution to clean up all corruption. Addressing the media on Tuesday, Jaitley said there was a policy paralysis during the 10 years of UPA rule and they did not even take a single decision to curb corruption while Prime Minister Narendra Modi made structural reforms and took decisions which changed the scenario. Haryana minister Anil Vij said only those parties "which have black money left with them" will observe November 8, the first anniversary of demonetisation, as "black day". Asserting that demonetisation was a "revolutionary step" which could be taken by a "strong and courageous" government only, he claimed demonetisation has not only promoted cashless payment system, but it has also led to increase in number of tax payers. 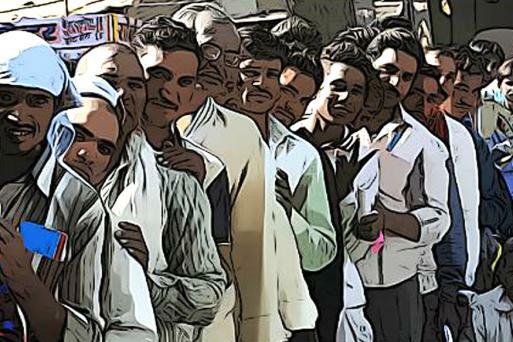 News18 brings to you the ground report from Uttar Pradesh, Punjab and poll-bound Himachal Pradesh on how demonetisation affected lives of artisans, manufacturers and workers. The BJP and the Congress-led opposition will face off over demonetisation today when the ruling party observes 'anti-black money day' and the latter a 'black day' to mark the first anniversary of the announcement of the exercise by Prime Minister Narendra Modi. BJP leaders, including many Union ministers, will fan out across the country to highlight the "benefits" of demonetisation. on the first anniversary of the exercise. Calling the measure "anti-people", the Congress and several opposition parties will hold protests against note ban in several parts of the country. Former Prime Minister and leading economist, Manmohan Singh lashed out at the Narendra Modi-led NDA government over the "twin blow" of demonetisation and GST, which he termed a "complete disaster" for the economy and said that winds of change are blowing in Gujarat and time has come for Gujaratis to repose faith in the Congress party. 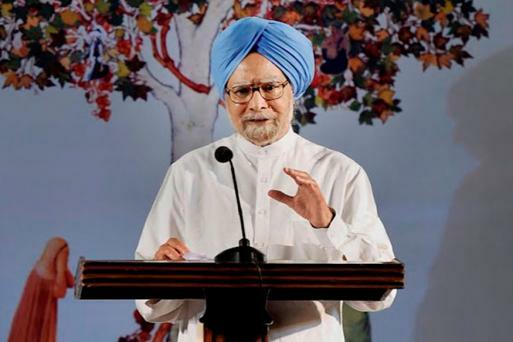 Reiterating his earlier statement when he termed demonetisation an economic blunder, Manmohan Singh said that due to the effects of demonetisation and the Goods and Services Tax (GST), Chinese imports have grown by a whopping 23 percent in just one year. On the eve of the first anniversary of demonetisation, Union minister Ravi Shankar Prasad claimed that flesh trade and women trafficking had reduced substantially in the country due to the move. He also claimed that the economic move brought down the number of stone-pelting incidents in Kashmir and put a check on Naxal activities. 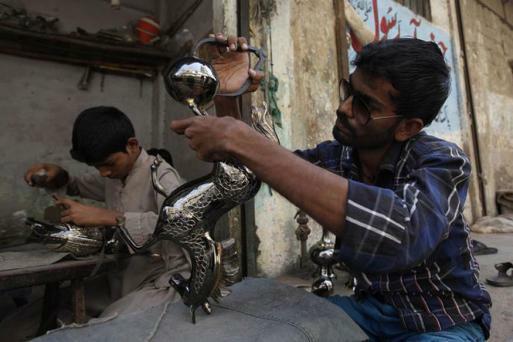 "Flesh trade has nosedived in India. Trafficking of women and girls has gone down considerably," the law minister told reporters here while listing the "achievements of demonetisation", a day before the Congress-led opposition's proposed "Black Day" protest. Demonetisation has completed one year. The government and the Opposition are firm to their stated positions on note ban, a year after the dramatic step to demonetise Rs 1,000 and old Rs 500 notes was taken by the former as part of its project to rid the economy of its black component.